How Much Do Port St Lucie Car Accident Attorneys Charge?How Much Do Port St Lucie Car Accident Attorneys Charge? Car accident attorneys in Port St. Lucie handle fees much like attorneys elsewhere in the country, which is to say that there is generally not a flat rate associated with an auto accident case. This is understandable, since every accident is different and the personal injuries that result are likewise different, which means that case preparation and involvement can vary greatly. There are of course some guidelines about what to expect when retaining the services of a Port St. Lucie law firm in accident cases. Very often, an accident victim can expect that the initial consultation with a Port St. Lucie attorney no fees will be charged, and there’s a good reason for this. During this conversation, the attorney is seeking to establish whether there are true grounds for some kind of litigation, and whether this is a case that is winnable in court. Bound by a code of ethics, most attorneys will not accept a fee for a case that they know cannot be successfully prosecuted in court, and has no chance of returning a favorable result. Then too, the initial consultation serves a secondary purpose in that it gives the potential client a chance to learn about the attorney who might become his legal representative, and whether he feels comfortable with that representation. Fair-minded attorneys realize that a client deserves the same opportunity for making an informed choice as does the attorney. Auto accidents involving significant personal injury have a broad range of outcomes, and this is why most Port St. Lucie care accident attorneys will schedule their fees in accordance with the actual result of the trial. In cases where there is not a favorable result, many attorneys will charge nothing at all for their services, because the client received no compensation. When the case is successfully prosecuted, the attorney fee will often be calculated as a percentage of the amount awarded to the client, since the attorney’s efforts are often directly proportional to the amount of the settlement. If you want your case to be handled by an attorney that delivers personal involvement, honesty, ethical conduct, and sound courtroom strategy every time, call Gloria Seidule. 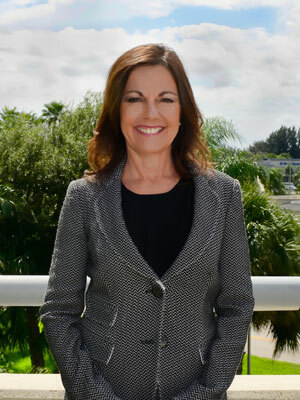 She is one attorney who takes great pride in her track record through 25 years of personal injury practice, and in her commitment to obtaining great results for her clients.